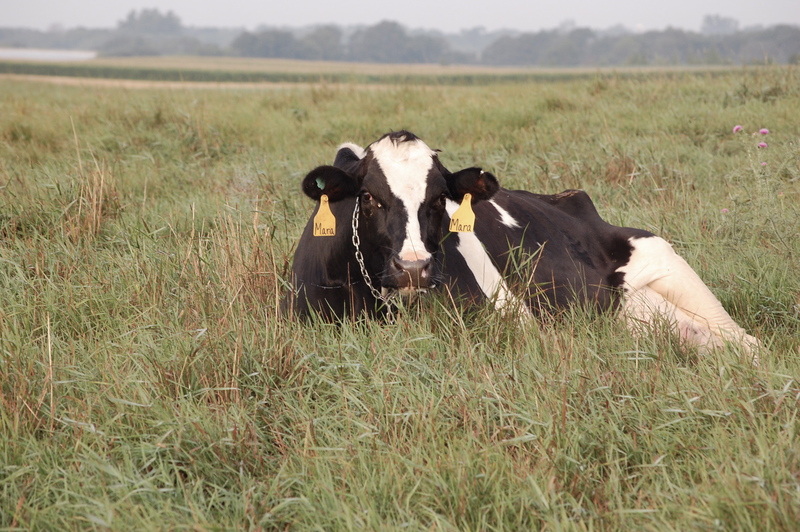 • During the warm seasons here in Minnesota, our cows spend most of their time in the pasture. When grazing isn’t possible, the cows are housed in individual stalls inside our barn. Each stall has a foam-filled mattress for the cows to lay on and a layer of chopped straw and/or shavings on top of the mattresses keep the stalls clean and dry. • Our barn is well-lit and well-ventilated, which makes it comfortable for the cows to live in and for us to work (and play) in. 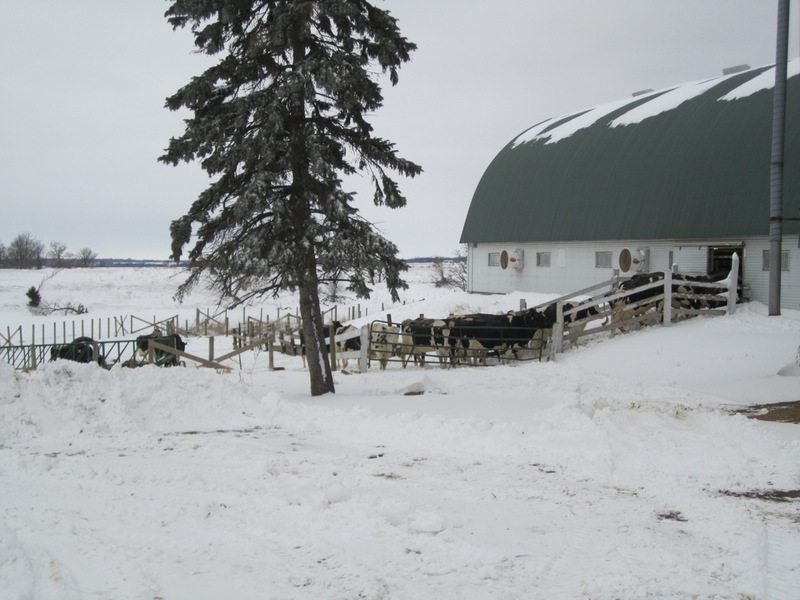 • During their winter indoors, our cows go outside almost every day for exercise. • Our cows are fed the best feeds made from the crops we grow here on the farm – corn, alfalfa and grass. The cows’ diets are carefully formulated by a professional nutritionist to meet the cows’ nutritional needs. Fresh feed is provided every day. 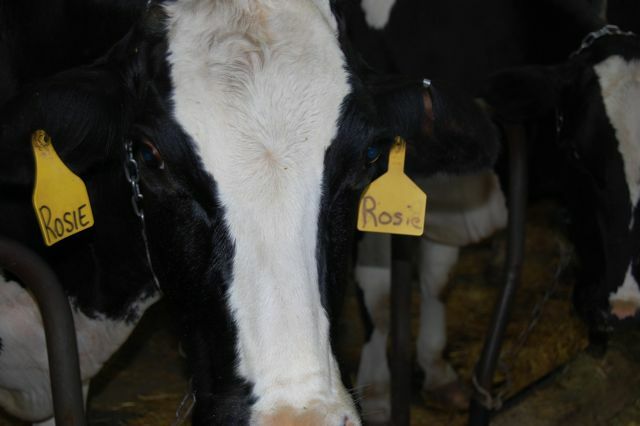 • We use vaccines and good husbandry to prevent diseases in the herd. If a cow or heifer does get sick, we work with a veterinarian to diagnose and treat the illness. Our first approach to treating illnesses is to provide supportive therapies (aspirin, fluids, electrolytes, and other nutritional supplements) to help the animal’s immune system overcome the ailment. As a last resort, we will treat an animal with antibiotics. • Each cow, heifer and calf in our herd has a name. We know each animal almost as well as we know our children. We know each cow’s life and health history. 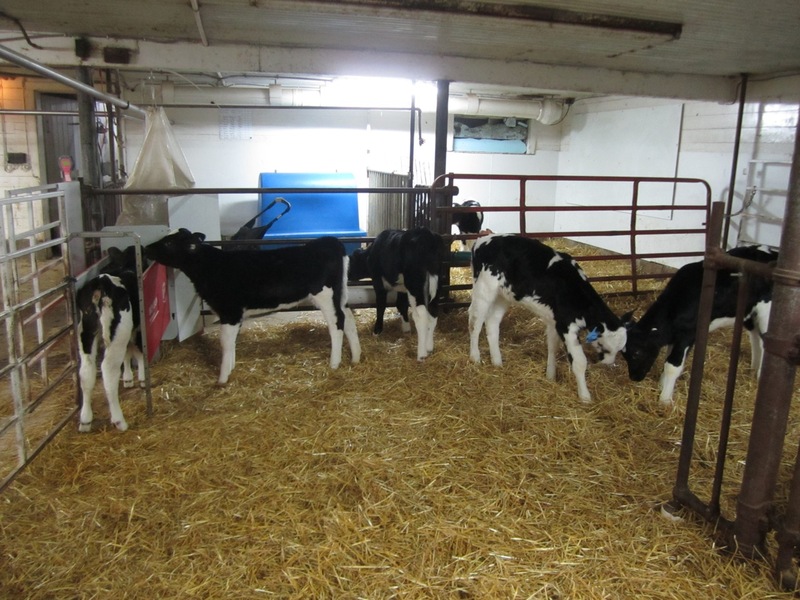 • Our baby calves are housed indoors in a group pen. 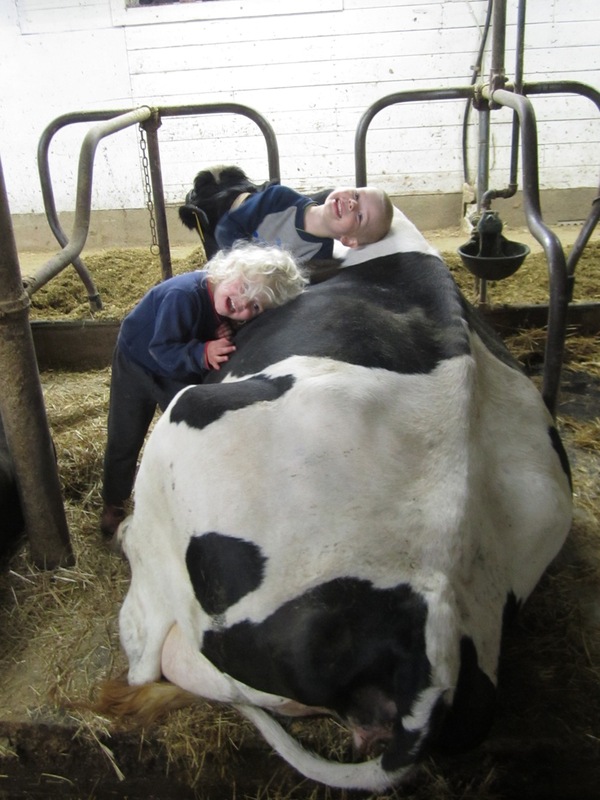 They are fed with an automatic calf feeder, which allows them to drink milk several times each day.